Communication and collaboration with employees and customers is critical to the success of any business. A Unified Communications environment gives you the right tools to connect with key markets, teams, and customers anytime, anywhere. 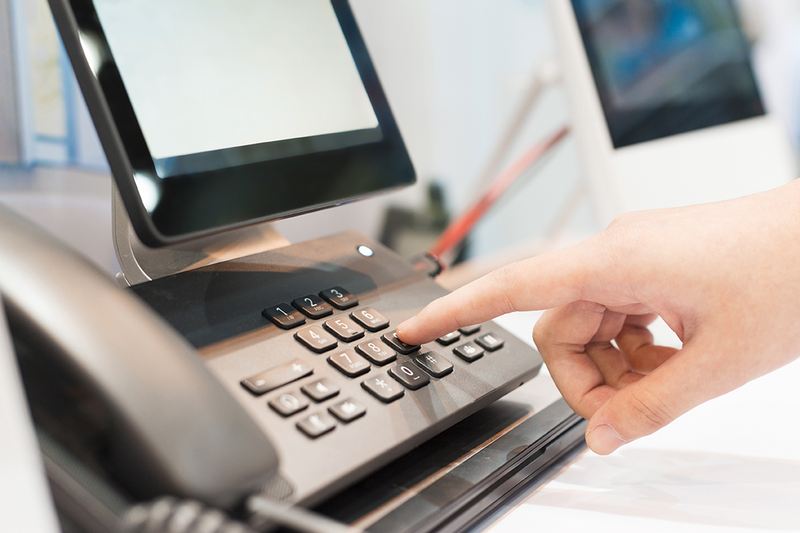 As a global provider of Unified Communications, Continuant helps organizations manage their unique UC environment while maximizing existing voice system investments. We work with you to develop a strategic roadmap that transforms the way you stay connected to your key markets. For more than two decades, Continuant has been focused on delivering exceptional service to the enterprise, from providing maintenance and support for existing systems to managing complex unified communications infrastructures as well as collaborating on developing a strategic roadmap to a unified communications solution. We offer “best in class” solutions and UC support that benefit both the large enterprise as well as major non-profit organizations, government institutions, and K-12 schools, colleges and universities. Just ask any of our Fortune 500 customers such as Merck (NYSE: MRK), 3M (NYSE:MMM), Universal Health Services (NYSE: UHS), Zimmer Biomet Holdings (NYSE:ZBH), The Kellogg Company (NYSE: K), Capital One Financial Corporation (NYSE: COF), Ball Corporation (NYSE: BLL), Lear Corporation (NYSE: LEA), and more. In research by the Aberdeen Group, “Why the Growth is in Managed Services,” it is recommended that organizations move to a managed services model to meet business goals, improve efficiencies, leverage insight, and realize consistency. The report shows organizations that use a Managed Services Provider are more likely to reduce overall costs while achieving better processes, better visibility, and better operational control. According to a Gartner Report, UC gives people access to the communications tools they need to collaborate in real time, leading to improved efficiency in the workplace. However, managing a UC infrastructure can be difficult. CompTIA outlines why turning over your IT voice system functions to a UC Managed Services provider improves efficiency, frees up internal staff, provides top-notch security, delivers maximum up-time, and increases general peace of mind. In a CompTIA study of technology buyers, “Trends in Managed Services,” researchers found that 56 percent of businesses (100+ employees) list “Improved Efficiency” as the main reason for working with a managed services provider. The report also states that 60 percent of end users describe their managed services engagement as a collaborative arrangement with their internal IT department. We help customers develop and deliver a UC strategy that addresses the needs of their business, while realizing significant benefits through technology refresh and consolidation strategies. Our UC solutions enable enterprises to deploy service at their own pace and leverage their existing investments across technology platforms, applications, and end-points. 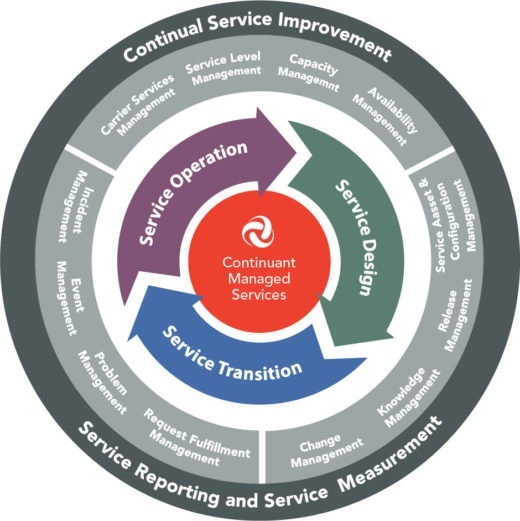 The Continuous Improvement Process (CIP) is an integral part of Continuant’s Managed Services. The benefit of CIP is that it leads to incremental improvements that identify, reduce, and eliminate service-impacting processes. As a result, customers experience reduced mean-time to resolution and increased time between failures, ultimately producing a consistently improved user experience. Gather information and insights to assess, design, and prepare for either a UCaaS solution or a managed service. Define expected business value, assess readiness for implementation, and undertake remediation activities. Convene discovery workshops to assess your needs and business use of the current technologies, infrastructure, and network. Create service architecture and design the solution, including operational processes and an adoption strategy. Undertake readiness and remediation activities as required. Whether on-premise, cloud, or hybrid, we manage the service transition by effectively implementing and delivering services while driving adoption. We identify areas for improvement by implementing new features and capabilities as these are released to deliver rapid success and additional value. Manage the project with communication, change management, and risk management to closely follow the deliverables and success criteria. Execute UCaaS, on-premise, or hybrid adoption plan, deliver training and knowledge transfer, drive new user habits and change behavior as needed, while supporting the active use of the service. Monitor, report, run, and deliver necessary support services. Manage the daily customer-initiated and controlled operations of the service (moves, adds and changes to users). Capture, triage, troubleshoot, and resolve issues; escalate when needed; engage third parties as needed to fulfill support needs. 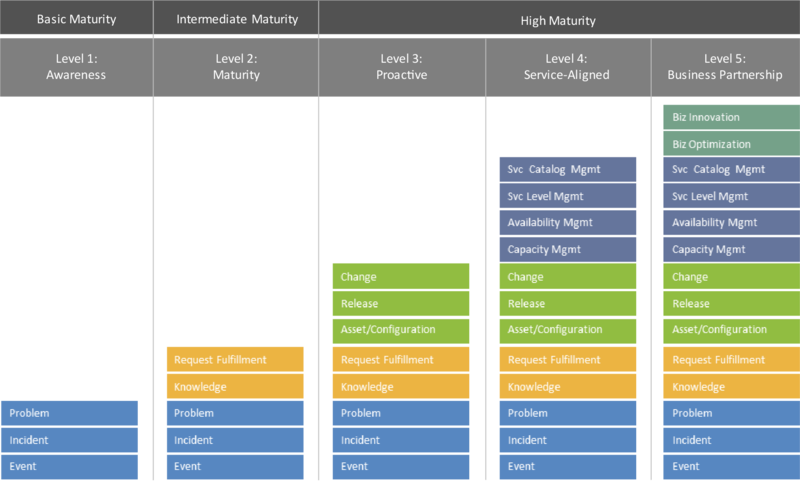 Monitor the service for end-to-end quality, reliability, usage, and capacity. Deliver Quarterly Business Reviews to provide transparency and remain aligned on goals, thereby maximizing the return on your investment.